undying patience, mothers like restless hummingbirds, fluttering tirelessly with overflowing plates of their labor. And on a hill, beyond the wheat, a lone man walked, cresting the horizon with urgency, clutching a burlap sack in his hand. Eight-year-old Margo was the first to spot him, a darker shadow on the plains of fading daylight. Margo didn’t tell anyone what she saw. A whole day spent under the hot sun, her skin pinking, her ears stinging from her cousins’ teasing, had left her listless. Tired, she sat in the tall grass as the man approached, as her cousins, the ones closest to her in age, chased each other through the yard, screaming through another round of What’s the Time, Mr. Wolf. From the porch her mother’s tinny laughter floated, an audible clue that she wasn’t watching the yard or Margo, that Margo’s father still ruled the show. If her mother had been watching Margo alone in the yard, there wouldn’t have been that thin laughter. Her mother’s lips would have been cinched tight with disappointment that her only child wasn’t running in frantic circles too. Another breeze, colder, stronger, rippled through the grass, and the man continued his march toward them. Nobody else noticed the man until he’d walked up to the cars parked around the edges of the yard. The man went to her father’s rental, an expensive car, the most expensive the Wichita airport car rental businesses had to offer. When the man ran his hand along the car’s shiny front grille, the relatives’ attention drifted from her father. It took him a moment to realize that his herd had begun to wander. Sipping on his gin and tonic, her father, normally ready to take full credit for the extravagance he could afford, remained silent on the porch, sizing up the man from behind the screen. The aunts, uncles, older cousins, and Grandmother Evangeline peered down from the porch. Sitting next to Grandmother Evangeline, her husband, Grandfather Rupert, did what he’d done all day—he rocked in his chair, staring ahead and swatting at flies unconsciously. “Is that you, Jay Paul?” Grandmother Evangeline, slowly standing, asked. “It is,” the man said. Margo saw her mother take a step back on the porch as if to hide behind one of the aunts. “Hi, ya,” some of the aunts and uncles who knew the man called out. “You walked far,” Grandmother Evangeline said. “What’s that?” Grandmother Evangeline asked. Margo knew. Biting her lip, she drew her knees to her chest. “I need to know who this car belongs to,” the man said. “I don’t care what kind of car it is,” the man growled. No one had spoken to her father like this before. Grandmother Evangeline, her hands gnarled with arthritis, nervously fidgeted with her gray-knit shawl. Margo pulled her knees tighter to her chest. “Now, what’s all this about?” Charles asked, tempering his voice with equal parts sternness and cheeriness, the same tone he took with Margo when he wasn’t pleased with her, which was often because she rarely spoke up—the biggest weakness a person could have, according to her father. “You know,” the man said, his voice firm, confident, not nervous at all like Margo’s always was. “I’m afraid I don’t,” Charles said. Shrugging, he looked at the relatives on the porch behind him. The man scowled. With the mention of her mother’s name, the man’s red face paled. He nervously swiped through the little hair he had. Grandmother Evangeline called for her mother again, and slowly her mother emerged from her family and stood at the top of the porch steps. She pushed open the screen door. “Hi, Jay Paul,” she said, looking at her feet. “I thank you for the invitation,” the man said. “But my business…” He glanced up at Margo’s mother again and his voice trailed off. Margo’s father, swirling his drink, brushed past her mother and came down the porch steps. “Jay Paul,” he said, wearing a wide smile. “I remember hearing about you. Valerie’s old friend. I’m Valerie’s husband, Charles.” He extended his hand but the man refused it. “Hey now,” her father said. He started to say something but took a drink instead. Her mother slowly descended the steps and stopped next to her father. Margo had never seen her mother this anxious before. Her hands flitted from her elbows to her ears to her neck to her hair. Her father held his usual smooth smile and sipped from his glass, shaking it before each taste to make the ice chatter for him. The aunts and uncles on the porch had fallen silent. Even the cousins in the yard had stopped screaming. Frozen victims for the wolf, they stood like statues, watching the adults. His face hardening, the man looked at his sack. When Margo’s mother stretched a nervous hand to her, Margo, wishing only to be a spectator, obediently got up. The tall grass tickled the backs of her knees as she went to her mother. Her mother nodded when Margo took her hand. “She just turned eight.” She looked down at Margo, smiling. “You look just like how your mother looked when we were kids,” the man said to Margo. The man ignored him. One of the uncles called down from the porch and asked the man about his crops. “We could use some rain, but we’re doing good,” he answered. “I heard you and Anita…you two doing well?” her mother asked him. “Sons,” her mother said, squeezing Margo’s hand. “What’s their names?” her mother asked. “Nice names,” her mother said. “So, you’re a farmer,” her father said. Margo couldn’t help sighing. She knew what he’d say next. “That’s a really interesting profession. A noble one.” Her father gave his customary pause to let the person he was talking with ask him politely what it was he did. Jay Paul didn’t ask. His eyes flicking from the ground to Margo’s mother, he stuck his free hand in his pocket and held the burlap sack close to his thigh. “I’m in finance,” her father, not able to help himself, said after a moment. “You’ve probably heard of the international fund I manage—the Zargem Fund. It’s been all over the news. Us beating the market like we own it.” When the man didn’t say anything, her father added, “We live in New York. In Manhattan.” Smiling, her father waited for the usual reaction, the curiosity, the sudden sense that he was more important than he really was. Her mother, expecting this too, relaxed her grip on Margo’s fingers. Margo didn’t understand the particulars of her father’s job or why everyone found it exciting—they just did. She didn’t understand, either, why where they lived always sparked countless questions—it was dirty and ever-repeating in her mind—street after street, block after block of tall buildings, honking horns, homeless people, pushy crowds—not a bright apple at all, nothing like the expansive swaths of sun-catching land unfurled around her now. But people, time and again, disconnected from other conversations or the activities they were engaged in to pack in around her father as soon as what he did and where they lived were known. This was true of most people. Margo knew, though, that this man was different. When the man shrugged, her father hesitated, then focused on his drink again, reading the fissures in the ice as if they held some deep secret. Her mother, not accustomed to this dismissive reaction either, tightly clasped Margo’s hand again, squeezing Margo’s knuckles against each other to the point of hurting. “Come up and have some iced tea,” Grandmother Evangeline said, repeating her offer. “Or something with a little more kick,” her father said, his smile strained. The muscles in the man’s jaw flinched. “What you got in there?” her mother asked him. “You came all this way for nothing?” Grandmother Evangeline asked. Her father, claiming what was his, put his hand on her mother’s shoulder. “Sure. You need a lift?” Margo’s father asked, keeping his hand on her mother’s shoulder. “I’d prefer to walk,” the man said. “It was good to—” His words caught. 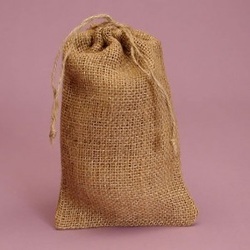 “It was nice meeting you, Margo.” He turned and left, carrying his burlap sack. “What’s gotten into him, I wonder?” Grandmother Evangeline asked. Shaking her head, leaning heavily on her cane, she climbed back onto the porch. Angry, Margo turned to her father. “You should say you’re sorry,” she said with confidence, glad to be speaking up, to be addressing her father’s biggest criticism of her in a way, she hoped, that would make him reel. As if Margo had said nothing, he took another drink and let her mother’s shoulder go. When her mother, confused, looked from Margo to him, he finally asked, “Sorry for what?” Not waiting for Margo to explain, he strolled up the porch steps, and the aunts and uncles surrounded him, like usual, but their interest in him had strayed—what could have Jay Paul wanted, they all were keen to know. Struggling to corral them, like cattle, back into the pen of his successes, her father shrugged, laughed, and drove them through another Wall Street tale. The younger cousins, bored now with their outdoor ventures, headed inside to play video games. As the yard emptied, her mother, watching the man walk away, held Margo’s hand. Margo willed her to ask her why her father should have apologized to that man. If asked, Margo would have told. Secret or no secret, a child couldn’t be expected to obey one parent and not the other. But her mother didn’t ask. Instead she whispered in her ear, “Why don’t you go and play with your cousins?” And, not waiting for Margo to answer, her mother released her hand and slipped up the stairs to rejoin her husband. Rubbing her sore hand, Margo sat back down in the grass and looked out across the lawn. The man, his head hanging, the sack bouncing against his leg with each step, was already far from them. The wind picked up again, carrying with it a cold, fat drop of rain that splattered against Margo’s forehead. Unnoticed, Margo sat as more drops fell, the thumps of their collision with the earth dampening the sound of her mother’s high-pitched laughter. What her father had said to her earlier that day hadn’t made what he’d done any better, hadn’t made her agreement to keep what had happened—him hitting that dog on their way back from town when they went for more ice—a secret any easier, but now, watching the stranger walk away, listening to her mother’s theatrical, hollow laughter, she wondered, as angry as she still was with her father, if there was maybe some truth to what he’d said: if you let the things you love roam free, maybe you are to blame for what comes of them.